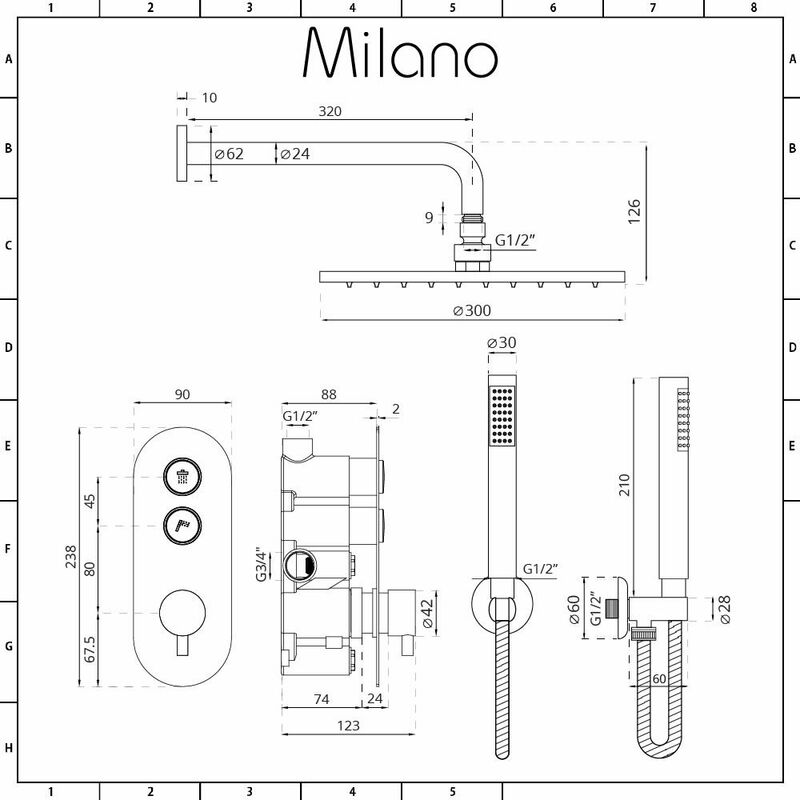 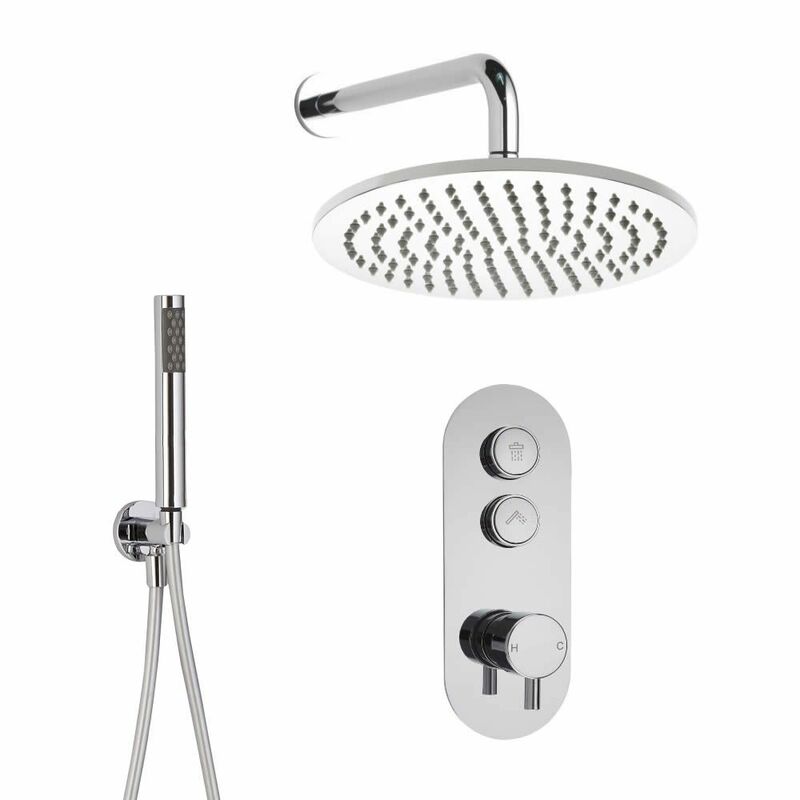 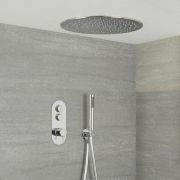 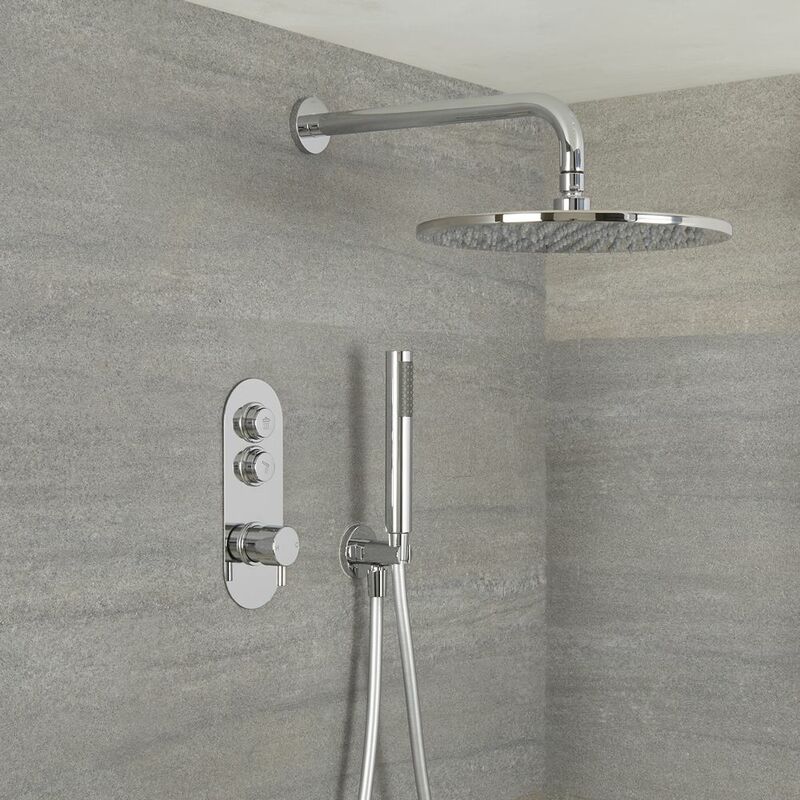 Smarten up your bathroom with the Milano Orta thermostatic push button shower valve, 300mm rainfall shower head and handset. 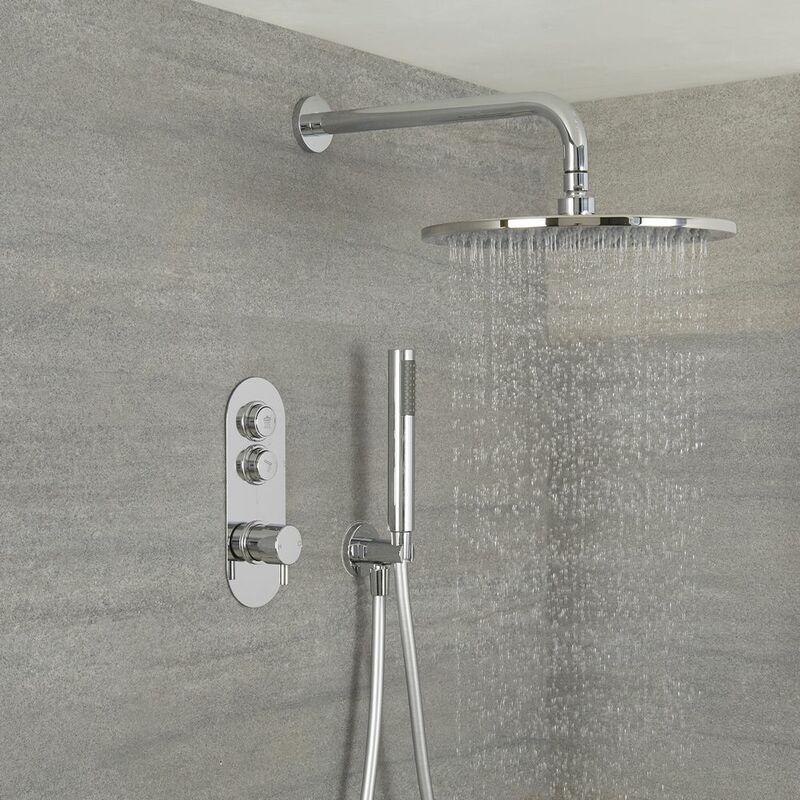 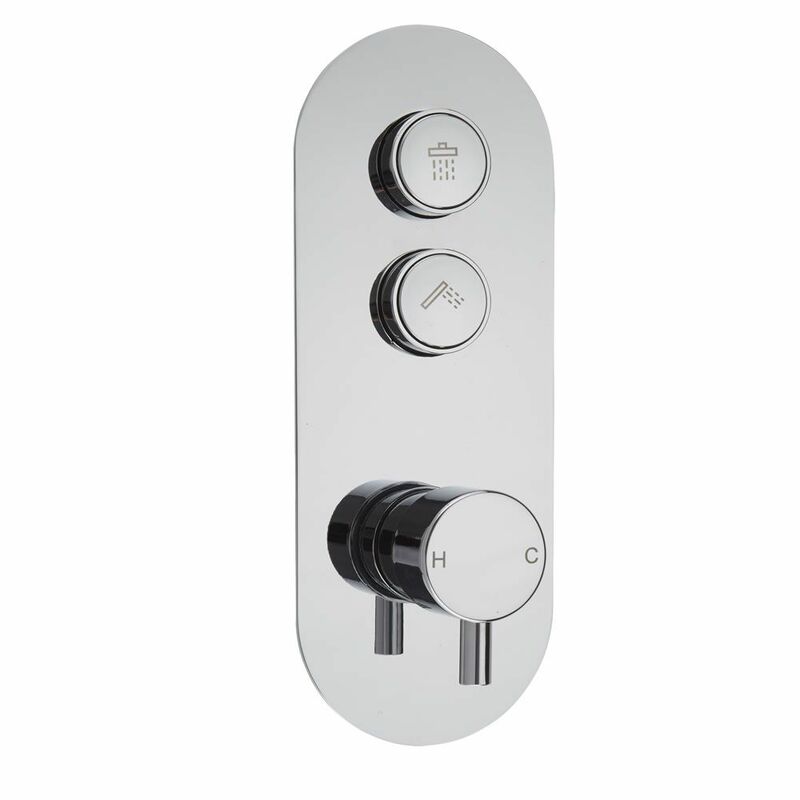 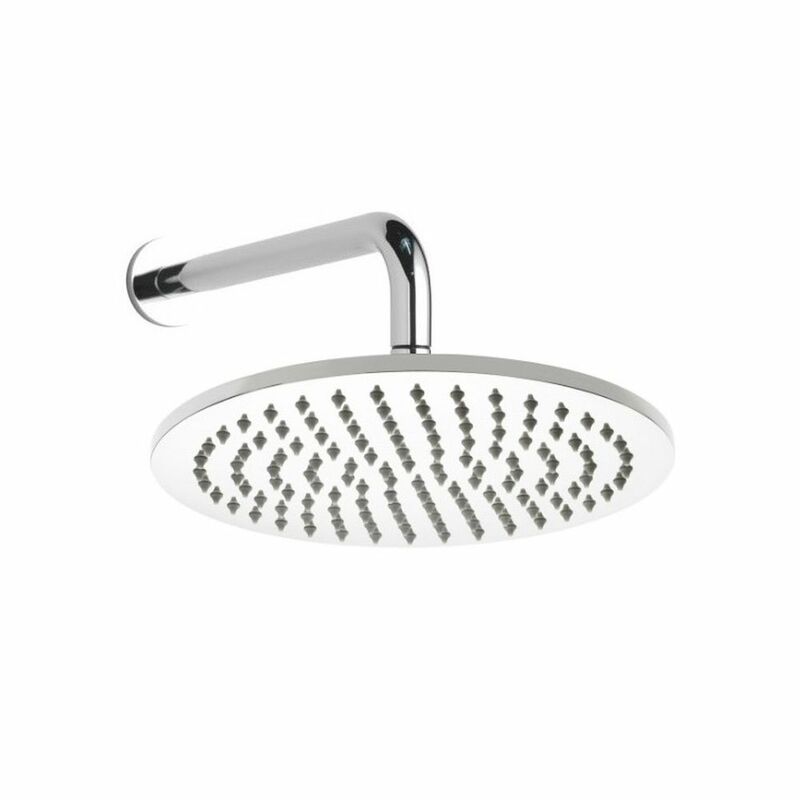 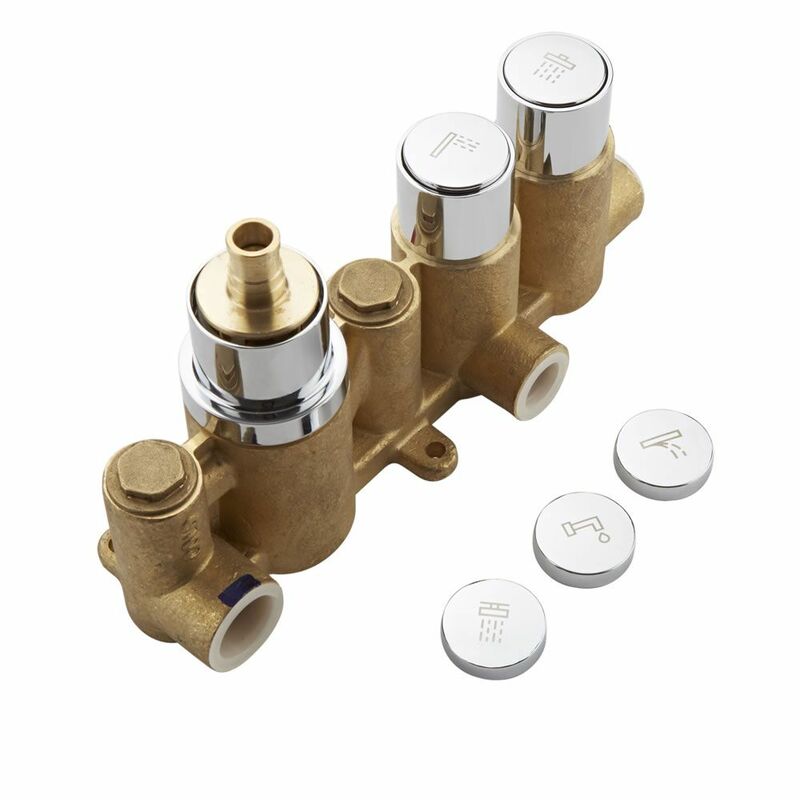 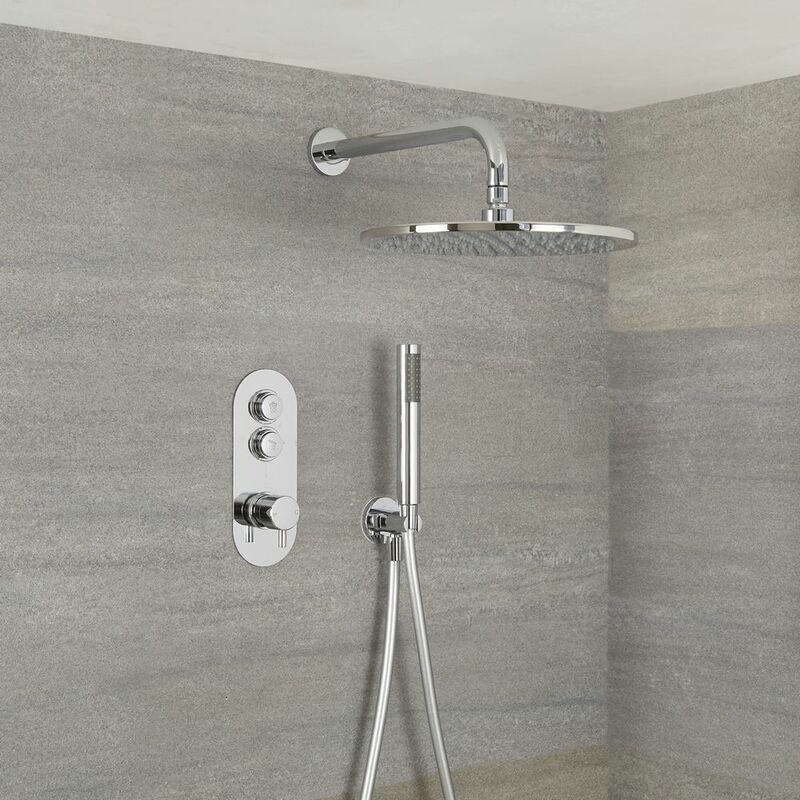 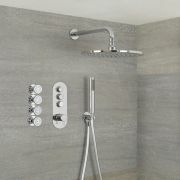 Made from brass with a chrome finish, the shower valve features easy to use push button controls to operate the different functions, as well as a round lever handle to adjust the temperature. 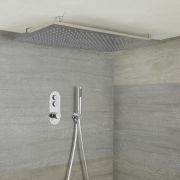 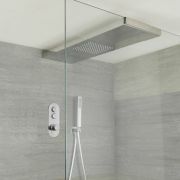 Supplied with the wall mounted arm, the shower head delivers a refreshing rainfall effect, while the handset provides a quick and easy way to rinse and clean around your enclosure.